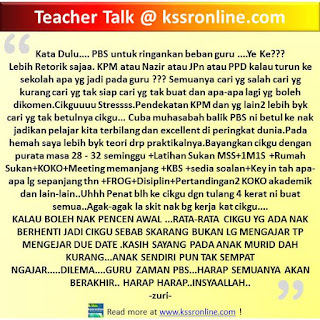 Teacher Talk@kssronline.com is now brought to you by kssronline.com. Teacher Talk@kssronline.com is a forum to let teachers talk about everything from their teaching life as well as a place for teachers to express their feeling. 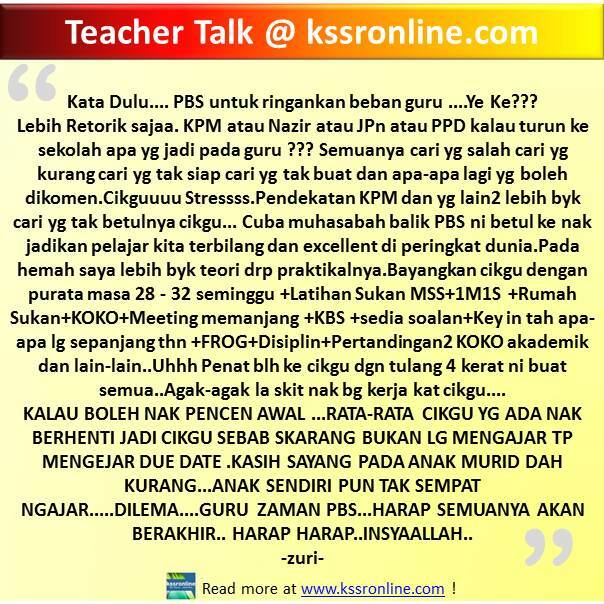 Some of the comments at Teacher Talk@kssronline.com will be occasionally featured on our facebook page. So, please LIKE our facebook page to get in touch of latest opinion and cries !